London: Palladium scaled a record peak on Wednesday due to a prolonged supply deficit, while gold slipped as the dollar gained ground ahead of a policy decision by the US Federal Reserve. Spot palladium was down 0.3 per cent at $1,591.50 (Dh5,840.80) an ounce, as of 0908 GMT, after hitting an all-time high of $1,606.76 earlier in the session. Platinum was 1.3 per cent firmer at $856.75 an ounce, after touching its highest since March 4 at $858.64 earlier in the session. Palladium prices have nearly doubled since mid-August and are up about 27 per cent so far this year. 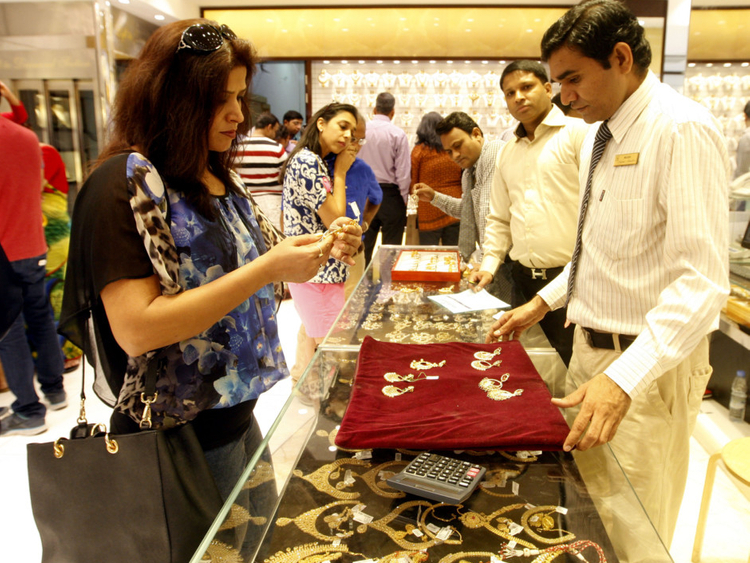 Spot gold was down about 0.4 per cent at $1,301.38 per ounce. US gold futures slipped 0.4 per cent to $1,301.7. Considering the recent US economic data, the market expects the Fed to hold interest rates unchanged and shed more light on its monetary policy plan for the rest of the year, said Hareesh V, head of commodity research at Geojit Financial Services. Data on Tuesday showed new orders for US-made goods rose less than expected in January and shipments fell for a fourth straight month, offering more evidence of an economic slowdown. The dollar rose against its key rivals on reports of renewed tension in US-China trade negotiations. Investors since last year have favoured the dollar as a safe haven amid the Sino-US trade tensions. Spot silver dipped 0.5 per cent to $15.27 an ounce.